The first of the Jardin series by Hermes’ in-house perfumer Jean-Claude Ellena was launched in 2003. After Un Jardin sur le Nil and Un Jardin aprés la Mousson I am concluding the reviews of this series today. 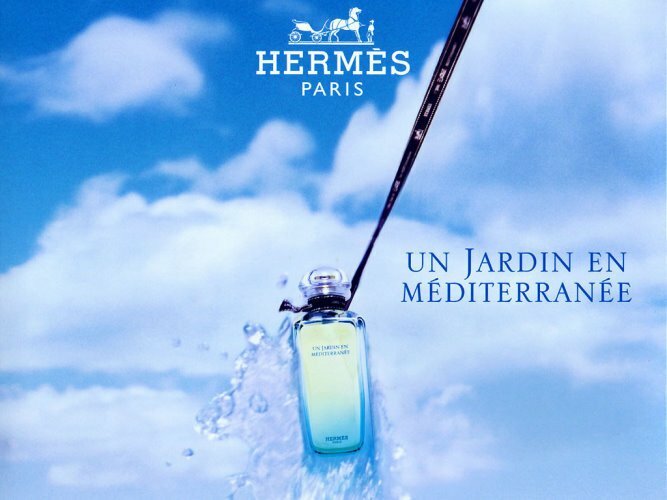 Un Jardin en Mediterranée includes notes of mandarin orange, bergamot, lemon, fig woods and leaves, orange blossom, white oleander, cedar, cypress, juniper and musk. Almost considered a summer classic by now, Jardin en Mediterranée has many fans. It opens with rather sharp, almost too sharp for my liking top notes, that go away in ten minutes or so, which is when this gets much more friendly. Jardin en Mediteranée is not your typical fig fragrance though. There is fig, along with the entire tree and surrounding garden, but there is also a discernible element of something dirty, a little compost-y (is that a legitimate word?). I like that Mediteranée is not your usual pretty-pretty scent. It is courageous in a way. It delivers the entire garden, not only the lovely parts the public wants to see, but also the decay that is always a part of nature. Flowers bloom and wilt, trees grow and decay all at the same time. It makes me think of the concept of Apoptosis, the programmed death of cells. It is not necrosis, the “unnatural” death of a living cell through damage, but the natural dying process that is as necessary to life as the birth of new ones. I think it is amazing of Ellena to integrate those necessary and perfectly natural “dark side” of nature, of a garden, be it as beautiful and well tended as any, into his creation. Life is only complete when you see both sides, light and dark, good and bad, growth and decay, life and death. Only there are not really two sides to it, this dualistic stance is something deeply ingrained in our western culture and how we perceive things. Heaven and Hell, anyone? 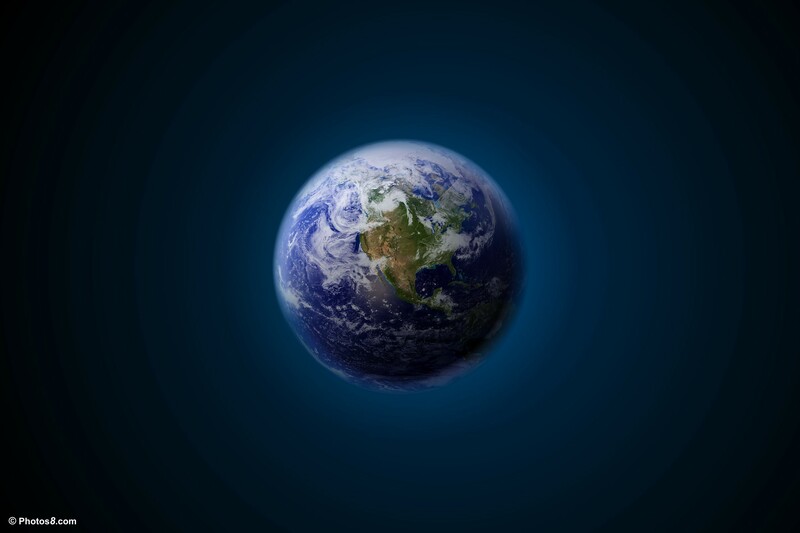 Instead of two sides it is rather a whole, a circle, a sphere. Everything is part of a whole. I think, in a small way, Jardin en Mediteranée stands for that truth. Image source: rayting.pixnet.net, Globe in Psace courtesy of Photo8.com, some rights reserved, thank you! This entry was posted in Citrus, Fragrance Reviews, Hermès and tagged citrus, Fig, Fragrance, Hermes, Jean-Claude Ellena, Perfume, Review, Un Jardin de Mediterranee. Bookmark the permalink. Wow, what a wonderful, thoughtful piece of writing. I love the way you often broaden out your reviews to give us the bigger picutre. I will have to give this a try. Pretty-preety is often dull so I’m all for a bit of darkness. Yes, marvellous piece. I was mentally applauding all the way through. I found Mediterranee a shock when I first tried it. I like the sharp opening but am also glad when it softens. I had an ‘ewww!’ kind of reaction to that compost note, but after trying it a few more times, I’ve become fascinated by it and absolutely agree that, as death is part of life, it is no bad thing to be reminded of that in a perfume. Courageous, as you say. I’m hooked, and am highly likely to go for at least a large decant, if not a FB. I’m going to wait a bit though to see how Medit. stands up to the winter weather that is setting in here now. How did you find the longevity? People do complain that it does not last but I find that with a decent application I get at least four hours or so, and I’m happy with that. Another reason to get a larger amount. This is not the sort of fragrance that you can eke out with a a sample. Thank you, Annemarie. I was really worried how this will go down, but apparently it has found an echo. Oh, I am glad you found what you have been looking for! Somebody mentioned the longevity : I tend to “swallow” perfumes, but J. en Mediterranee lasts on me for ages, spritzed early afternoon and still happily caught it on my wrist when going to bed at midnight. Great to hear it lasts so well on you. This was amazing to read! Thank you for that, too! I am glad you all don’t think I have gone over the edge now! 😉 Memento Mori is the perfect philosophical equivalent to my scientific analogy. I love it! Such an interesting review. I love Jardin En Med and hosted a split of it, but don’t think of it as a summer fragrance. I guess it seems more fall-ish to me, maybe because of the cedar? All I get is fig + cedar, so I will have to sniff around for the “compost” note next time I wear it. Love sur le Nil as well, so very much looking forward to the next one! That’s interesting. It’s working WELL for me so far in the autumn. Not sure about the dead of winter. We shall see! Sorry, didn’t mean to capitalise ‘well’. Fingers ran away from me! Report back how it goes for you. I can imagine it being a source of much-needed sunlight in the cold season. It’s been a pleasure to read your reviews of the three Jardin fragrances. And I’m happy to report that I will soon bathe in the in milky opalescent light of Un Jardin sur le Nil as I just ordered it online from a private seller who’s clearing out her closet. Can’t wait to try it 🙂 and I’m wondering if it could turn out to be my summer scent… or one of them – what do you think, is it a summer scent (too)? Yay – Un Jardin sur le Nil arrived on my doorstep today, literally! I’ve been sniffing my hand for the past few hours and I can definitely say that’s it’s a like-it! And I know exactly what you mean by milky opalescence. It’s milky and green at the same time – an odd mixture in some sense, but also very intriguing and utterly interesting. It seems to have substance in the same way that Chanel no. 19 does, not that they smell alike, but they both seem to have a solid structure, and I really like that in a fragrance. I’m curious to find out how le Nil will work in warm, humid weather. However, I’m sure that it will be a lovely spring scent. It’s cold and rainy in Denmark today and I don’t see myself wearing it on such days, but it would probably work well into late summer and autumn. All in all I’m happy with my purchase. And obviously I will be on the lookout for the other to Jardin fragrances…. Thoughtprovoking piece – I get a spicy vegetable note in this one, but hadn’t thought of the wider “circle of life” connotations. It is probably my least favourite of the original trio, but that is par for the course, as I like more accessible fragrances as a rule! But on the whole I am with you, accessible fragrances for me too, please! Loved your metaphorical take on this one! I often view perfumes that way, too. A succinct and gorgeously written review, Birgit. Thank you Suzanne! I appreciate the compliment, especially coming from someone whose reviews I cherish. Until recently the only fragrance from this set that I liked was Jardin sur le Nil. But couple of weeks ago I tried JEM again (on a paper strip only) and was surprised that I liked it much more than I remembered. I might try it again on my skin to see how it works now. I was surprised too, when I unearthed Mediterranée from the depths of my closet for the purposes of this review, how much I liked it. Something must be in the air! Spring?